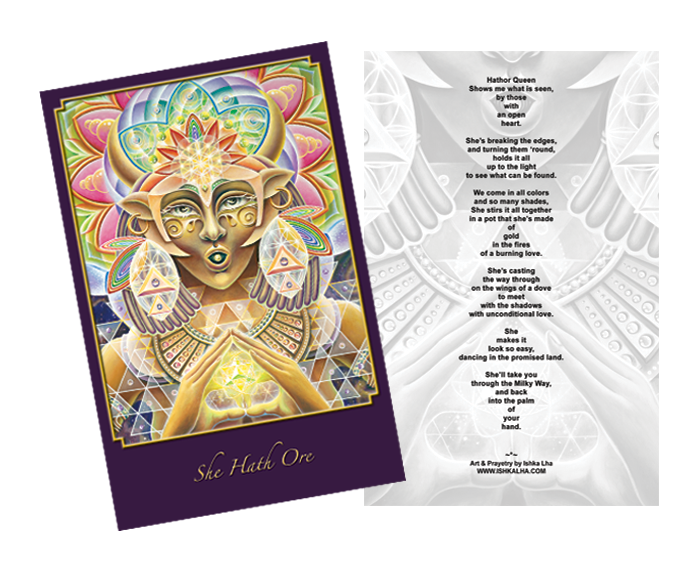 Celebrate and invoke the Divine Mother Hathor in your life with this beautiful Altar Card, the perfect addition to your altar or mantle. The Egyptian Hathor Goddess is most often referred to as the Mother of the Milky Way-- she is the mother of stars! 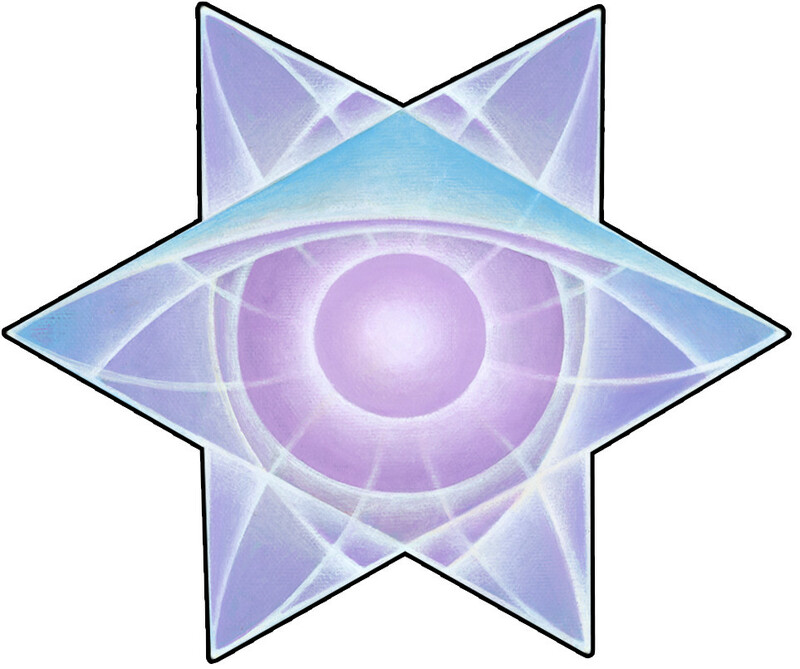 She is a divine mother archetype who represents fierce compassion, magic, and integration. With a heartfelt and powerful intensity, she will steadily guide anyone toward a state of greater compassion in any given situation. No matter how hard your ego may want to squabble, if you call on her, she'll steer you straight to your heart. She is a great medicine woman who prepares the way for us to address our shadow with loving compassion, and helps us to integrate our learnings with kindness and a splash of humor. Often, I imagine her standing in front of a giant golden cauldron, stirring all the colors of Self together into one brightly colored rainbow brew, and throwing in bits of sparkling song and laughter as she swirls and dances us awake to every aspect of ourselves in perfection.